Lynne: Please tell our readers what you’d like them to know about you. Barbara Garney: I retired from full-time employment 4 years ago, after 36 years with a family-owned company dedicated to the homebuilding industry. I began as the office manager/girl-Friday, but my heart was in sales. My dream came true when I became one of the first female outside-sales reps in our area. After successfully setting up our first branch in a major Texas city, I was promoted to sales manager. From there I transitioned into product manager, corporate trainer and company photographer. I have kept the photography bug, even after retirement. My favorite subjects are birds, deer and flowers. By my age, I am considered a senior citizen, but don’t feel like one, nor do I act like one! Lynne: How did you discover the shooting sports? Barbara Garney: After 6 years of widowhood, my fiancé and I set a date to remarry. My intended asked if I wanted a shotgun or a pair of diamond earrings as a wedding gift. I was a waterskier, freshwater fisherwoman and handgunner. Shotgun was uncharted territory, but I knew my new hubby was an avid outdoorsman, so I chose it anyway; being the smart gal that I am, I knew I would eventually get the earrings. (Which, of course, I did!) 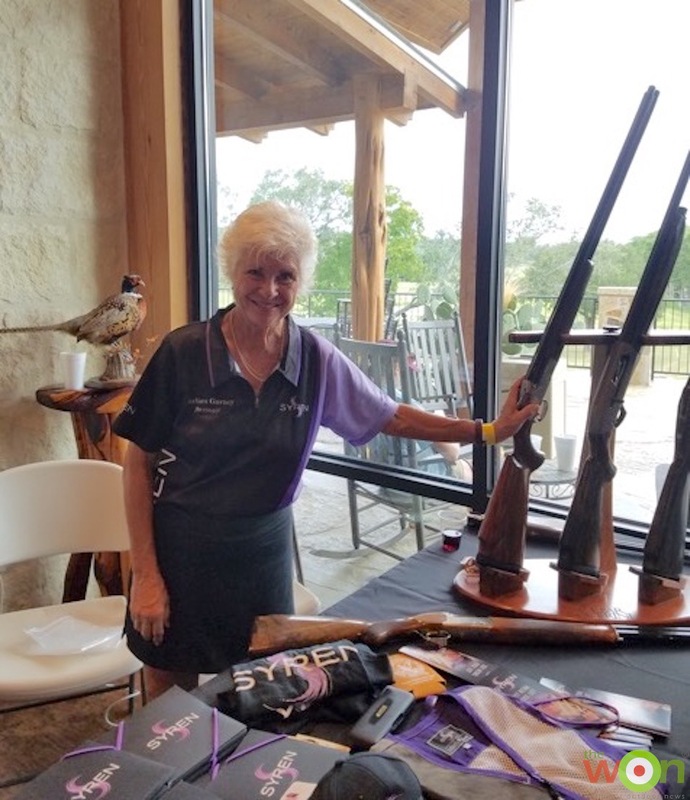 I discovered Sporting Clays through Texas Parks and Wildlife’s Becoming an Outdoors Woman program. If you ever have an opportunity to attend one of these nationwide workshops, they’re well worth it. Lynne: Can you tell us about your favorite cause or charity? Barbara Garney: There have been organized women’s shooting events and a few organizations in the Houston area since the 1980s. The local organization is the 5th generation to keep shotgunning alive and well in our area. In 2012, seven of us in our group—the 5th generation I mentioned—became founding members of Lady Clay Shooters Inc. We applied to the IRS for tax-exempt status as a public charity. Once granted status, we set about our mission to provide opportunities for women to engage in the shooting sports and support a local charity with our time, money and energy. Lynne: When women ask you why you shoot a Syren, what do you say? Barbara Garney: I’d been shooting on a recreational basis for many years. Most of my male shooter buddies told me that an over/under was not for me—too much recoil, too heavy, too hard to handle: “Just shoot an automatic,” they said. So I did, until I went to a Ladies’ Day at the Range sponsored by Syren. I shot each and every gauge, and it was love at first shot. Being involved with ladies’ events and instruction classes, I am asked about my Syren quite often. I own the 12-gauge Tempio and the 20/28 Tempio combo set. They are the first guns I have purchased that fit me “out of the box.” I was ecstatic that I didn’t have to spend more than a thousand dollars to have the 2 guns fit—so much money saved! Lynne: What type of feedback are you getting from women who are experiencing this line of shotguns? 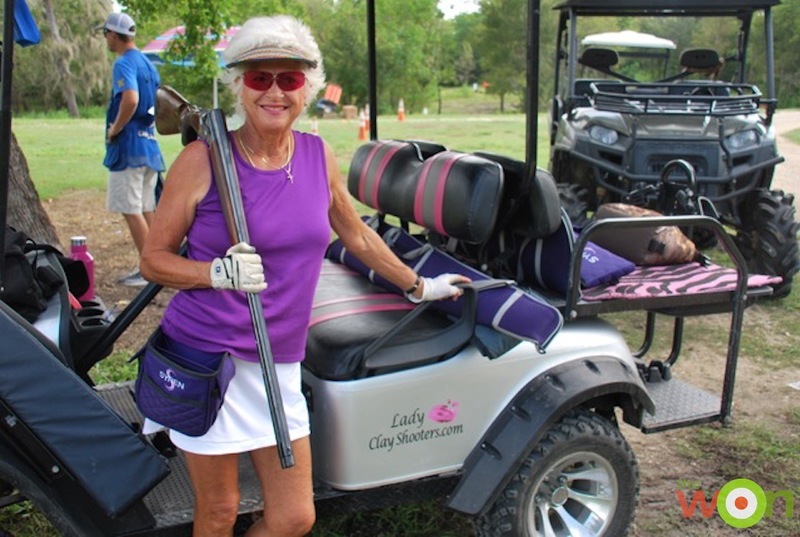 Barbara Garney: The ladies I meet at practice sessions, summer league at the gun club, and various other shooting events ask to shoot my Syren on a regular basis. It’s a “once and done” scenario. Once one of them shoots it, she’s sold. 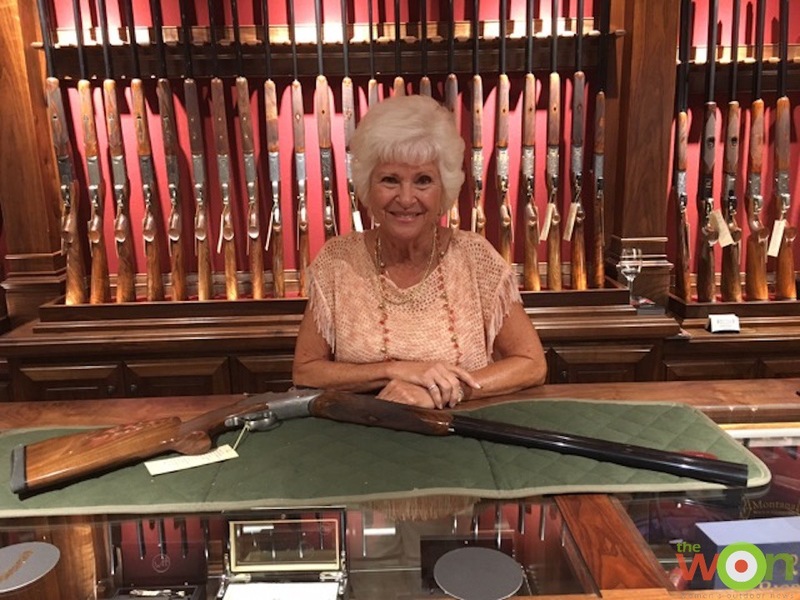 Lynne: Why is it important that a woman have a shotgun that fits her? Barbara Garney: Gun fit, in my opinion, is the number-one factor that provides the shooter with accuracy—and with accuracy comes consistent scoring in the clay target sports. A gun that fits a lady shooter gives her confidence when she moves to the target. A Syren has a smooth and fluid swing, which we all want and need. Confidence leads to higher scores, which we all strive for. 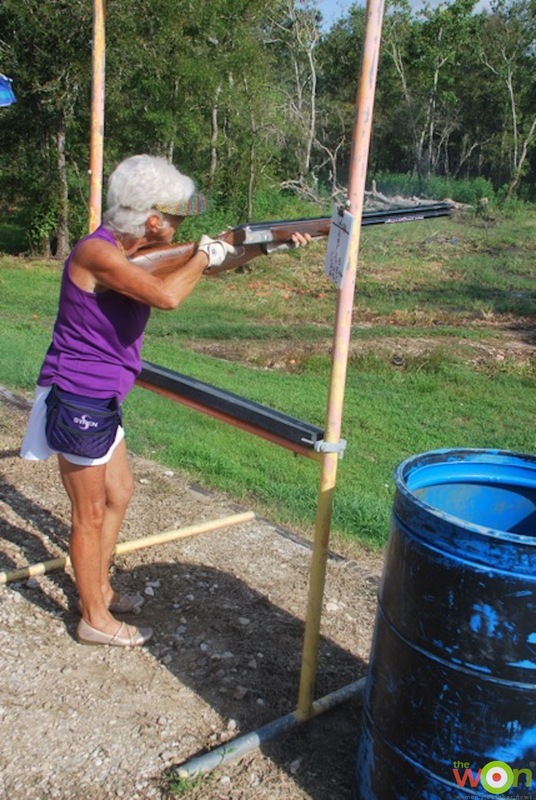 Lynne: What’s the best way for a woman to start competing in shotgun tournaments? Barbara Garney: Many of our Lady Clay Shooters have transitioned from recreational to competitive shooters. If possible, attend a few corporate or charity tournaments with women friends. Target presentations are usually easy and fun. There you’ll be exposed to etiquette and protocol, and the basic flow of a tournament. Next, join the National Sporting Clays Association and attend a local tournament with friends. Have fun—the world won’t come to an end if you miss targets. Syren will have demos for ladies to shoot at the 2017 NSCA Nationals Championships in San Antonio at the National Shooting Complex; there’s no charge and reservations are not required. Barbara Garney is just one of the “Women of Syren.” Read about the other ladies in our series here.